The Deeper You Dive, The Cooler It Gets! As part of TC service and guide to tourists and travelers alike, this page offers Cebu’s links to the great dive centers or dive shops in the whole province. Added to the links are short summaries or descriptions with brief contact information for each dive centres. Most of these dive shops are being managed by multinational individuals with professional and expert knowledge and long experiences in the field of scuba diving. In addition to their diving courses, Cebu dive centers also offer fantastic memorable and amazing packages for their guests and dive students. Kontiki Divers can provide you anything you need. It offers a premium PADI courses that would help you experience the best dive sites even while you’re just learning how to swim. They have regular trips to the nearby islands, marine parks, and dive safaris around Visayas region. Kontiki Divers has PADI 5 Star Dive Center and a PADI TecRec Technical Diving Center. Kontiki offers courses from Open Water to advance technical dive courses, including wreck diving, Tec 40-50, sidemount & rebreather courses. Since Kontiki Divers is located just 20 minutes from Mactan Airport, Cebu, you can dive the beautiful coral reefs within 60 minutes after touchdown. Scotty’s dive center is an exclusive scuba diving service provider for the best resorts of Mactan Island in Cebu and Boracay Island. Aside from scuba diving, Scotty’s dive centre also offers more interesting activities, such as parasailing, island tours, marine sports, sea trek, live-aboard, boat & yacht, sunset cruise, among others. Scotty’s Dive Centre also offers the PADI IDC which is being taught by multinational instructors. Scotty’s also promises that you’ll an individual special attention (class) if you want it! Cebu yacht club considered itself as the one located at the heart island/mainland mass of Southeast Asia. It is safely and conveniently nestled within the protection of the surrounding islands, thus, making it safer from heavy storms. Cebu yacht club is a service safe harbor that can accommodate sail and motor craft – a safety abode for a long stay, stopover for R&R, stocking supplies, as well as repairs. While at this club, you can enjoy the luxuries of the supermarkets and shopping centers, entertainment facilities, businesses, government offices, and sports including scuba diving. located in Mactan Island, Cebu, Aquadive offers the highest quality of personalized service coupled with proper safety measures. To say the least, they offer best scuba diving courses (PADI Open Water Dive Course: principles of scuba diving, confined water dives basic skills, and open water dives to practice the skills learned). Aside from scuba diving courses, Aquadive also offers fantastic Island Hopping trips, Safari Trips, among other fun water activities. First, choose a dive centre located in Mactan Island if you want a dive close to the airport or don't have much time to travel further. Second, choose a Moalboal dive centre if you have time to spend for both diving adventures and night life. Third, choose a dive centre in one of the famous islands (e.g. Malapascua, Camotes, etc.) if you want a more quiet, secluded, and longer stay. They have bars too! 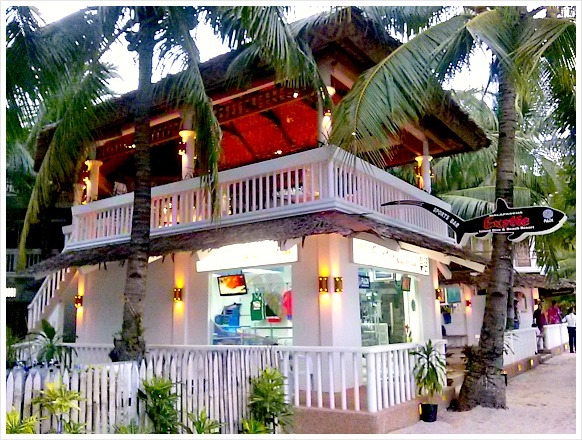 Located in Mactan, Cebu, Philippines, 7Seas Dive Center is within a famous resort named Plantation Bay Resort. 7Seas is inviting divers (and non-divers) to join them in their island hopping day trips to marine parks, remote and secluded islands with untouched coral reefs. For a newbie, 7Seas dive center offers a PADI Discover Scuba Diving session which will bring you to explore a lagoon and shallow reefs close to their dive centre. If you are an experienced diver, 7 Seas will bring you to the nearby dive spots to dive a steep wall with awesome caves and wreck diving sites. Cebu Dive & Adventure has a much wider range covering not only Cebu area but also around the Visayan regions. 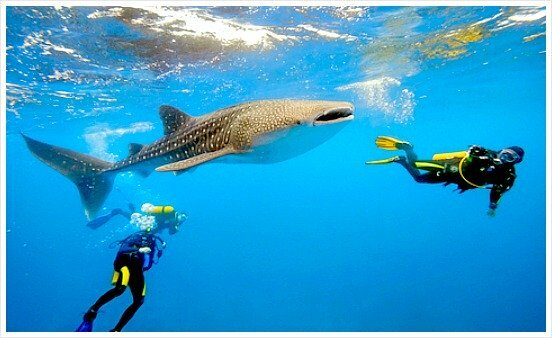 Cebu Dive & Adventure offers adventure tours to Tubbataha, Bohol, Negros, and Palau. As a dive service provider, Cebu Dive offers scuba diving course, dive packages, dive safaris, and free diving activities. What is more interesting is that you can spend longer time living aboard their boats: Expedition Fleet, H.C. Andersen, and Rags II. Have fun! Fun & Sun is not only a scuba diving school but also a provider of fun and adventurous seawater activities. Fun & Sun offers dive safaris, padi courses, island hopping tours, as well as diving in various interesting dive sites. In particular, Sun & Fun regularly visits Cebu, Malapascua, Cabilao, Balicasag, Southern Leyte, and more dive sites with rich marine bio-diversity classifications. They have experienced and professional dive masters, crews, boat captains, etc. Aside from diving, they offer also exploration to nice places including Talima, Pandanon, Nalusuan, Cao-uy, Kaowagan, Camotes, the Sandbars, and more. feel Deep Scuba Diving is a PADI diving school center that offers flexible prices for diving sites, equipment, transports, and accommodation. Feel Deep Scuba Diving promises you to accommodate wherever you want to dive or make happen your wishes. For their predestined locations, you can dive in Mactan Island, Moalboal, Cabilao Island, Balicasag Island, Apo Island, Malapascua Island, and more destinations.